Whilst we still use emails when the situation requires, we always try to move the communication related to our projects to slack. Most of our clients are in slack in their own dedicated channel, which happens to be the same one that all designers, developers, project managers, etc. use for communications related to the project. This way, everybody involved in the project is aware of what’s going on. Information gets passed easily across the team and we avoid multiple “broken telephone” situations. Also, if the person who is usually responsible for something happens to be sick or on holiday, the rest of the team can assist instead of getting an unhelpful “Out of Office” reply. 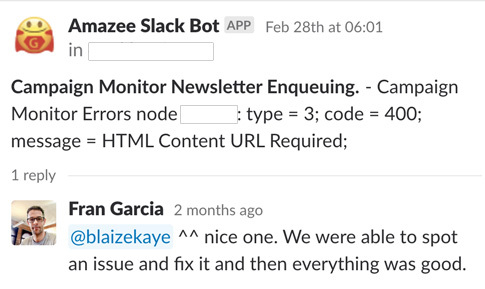 Slack and its bots are part of our Global Maintenance team too (I guess they can be considered remote workers). They help us with our day to day tasks in a myriad of ways. Activity Channel: we use slack integrations that will pull any message or activity related to the tickets that the team is taking care of in the current sprint. This can get a bit noisy sometimes but it’s a wonderful way to stay informed of what’s going on on our team board. No more email and Jira issue watching. ​Think about Blaize: it’s not just a reminder to think about Blaize (which we also do) who lives in New Zealand, it’s also a reminder for the UTC timezone team to starting wrapping up the day, commit everything not yet committed, update tickets not yet updated and leave things ready for Blaize, who will tell us “Good morning” at our 8~9pm (his 7~8am). Information about important events: we have multiple integrations for regular but important events on certain projects, for peace of mind, and to make people aware that something has happened. The following examples are to inform everyone that an automatic Mailchimp list was created (this is crucial for the client) and to inform developers that a deployment has happened (and whether it went well or not - red vs green). 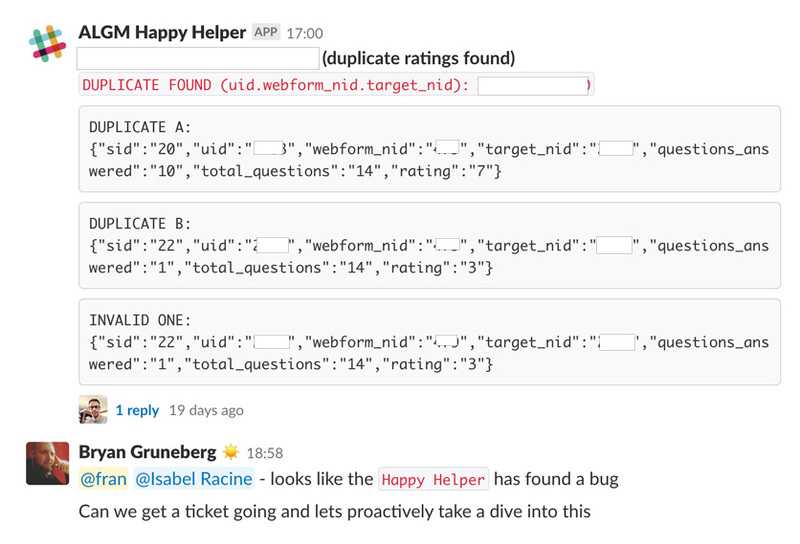 Instant bug reporting: this is probably the most important one and the one that is making the biggest difference to our Global Maintenance team. We use it whenever there are bug reports that we can’t replicate because the data changed, or when we don’t have enough information to take an action. If we can’t fully resolve a ticket request, we’re very likely to create an integration that will “spot” a problem and give us useful realtime information so that we can debug knowing further information about the issue. Over the past few months we’ve done this in multiple projects and it not only gives us instant feedback, it also informs everyone on the channel that something is happening, so we can be alert and take an action if needed. Below are two examples of those situations, again on critical parts of our clients’ systems, that allowed us to take quick action. These are just a few samples of the multiple integrations we have. If you want to know a bit more about the technical part, just keep reading. 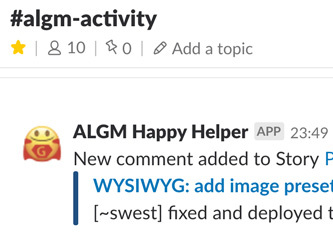 Create the slack webhook: here. That’s it really, as you can see it’s not too complex but it adds huge value to our day to day work. You can play Xbox Live without any paid subscription and Xbox does not require any code to play. Click here freexboxlive.xyz Enjoy Xbox Code Generator and Unlimited Gaming. The article is really helpful myweddinglifestyle.com	for tech readers to get maximum knowledge in the field of science and technology. It creates the best idea of the various topic for the readers every day. The up to date review of articles make the site live. This site is very informative. I learned about Slack integration and its implementation from this article. dermatologist los angeles It is explained very well in both writing and the style. I’m looking forward to more articles like this.keep the great work. Thanks for sharing this with us.